This is a stand-alone rear property on Torrens title with four bedrooms, two bathrooms, double garage and private courtyard with rural views. Being a modern brick and tile home makes for low maintenance and there is the rare advantage of a double garage with internal access. The living area is at the front of the home with a split system air conditioner. From the lounge you enter the open plan kitchen/dining area which opens onto the grassed private courtyard. In the kitchen you will find an island bench with the convenience of a breakfast bar, dishwasher, electric cooktop with range hood and full-size pantry. Cupboards are generous as is the bench space. 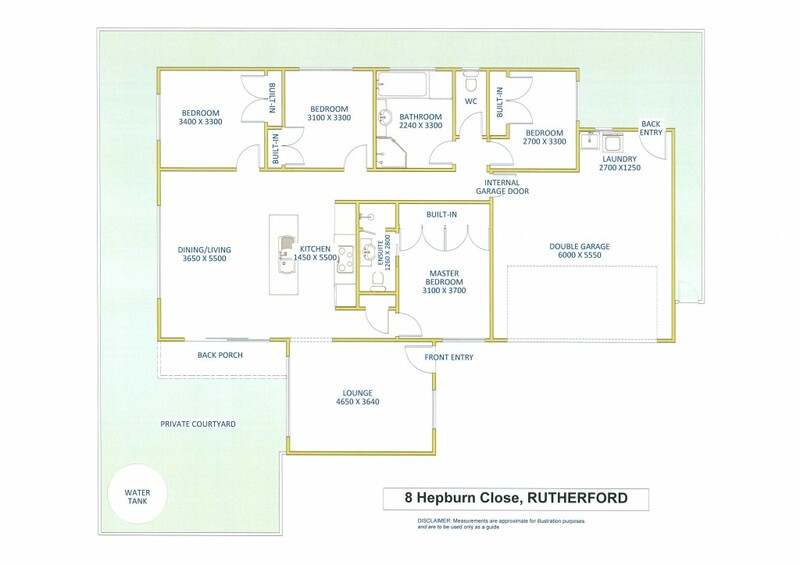 All four bedrooms are a good size with the master bedroom having a full size ensuite and floor to ceiling built-ins. Bedrooms 2, 3 and 4 all have built-in wardrobes and are positioned central to the main bathroom. The contemporary bathroom facilities include a full-size bath, separate shower and large wall mounted vanity. The W.C is separate. To view this excellent property contact exclusive listing agent Allen Reece on 0409 814 400 or speak to the sales team on 4959 2025.